Out the pink and blue stripes amongst the pastels of the young chapter the fabulously British brand has launched throughout the past couple of seasons. Now as the leaf’s turn and the days get short and well it has been fresher’s week the Jack Wills brand has well truly ‘ Evolved and Change’ and forever more grown up. As their handbook quotes: “I will start a new chapter”. This is what the brand has done for its womenswear and menswear collections for the autumn term. Denim has a big focus within the womenswear collection this term from the Holecroft Boyfriend fit shirt right down to the Froththlin skirt. It has been reinventing within its mixed washes chambrays and for a new point of view indigos have also been added. From super-skinny to Boyfriend it’s safe to stay that you’ll find your favourite pair easily. I’ve noticed throughout the JW autumn term there has been a focus on the colour palette of Damson which is a perfect autumn hue (I love their henlow skinny). Coming through the JW classic staples from the Glendale classic zip-up hoodie to the ever British collaboration for the Forres Boots this colour will be easily evolve your closet. Be the best dressed girl there and wherever the occasion with the autumn terms cute collection of dressers from prints, sweetheart neckline from the Laindon and of course the Buttershaw dress which will help you make a cool statement. Prints especially floral were a big trend from the catwalks and now JW have covered some of their staple garments in floral on a grey, damson, dark navy colour palette. Prints come in the staples of their Bickley Blouse, Penrose backpack, underwear, the Cherington dress to the Amdilly cami and the Broadley Tee (which I’ve invested in). Either pick of the prints you’ll sure love them this season! A girl cannot go without that classical yet powerful blazer and Jack Wills has made a British collaboration with Moon in ‘The Austerberry Classic Fit Blazer’ this season. 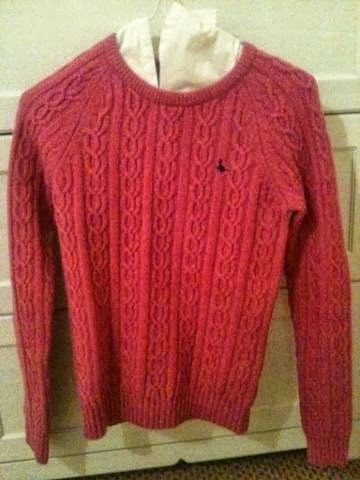 This must have investment for the autumn term ladies because; this will be most hard working garment in your closet. Jack Wills most wanted item for the autumn term is the classic sweater of course! You can find this classic staple in a soft and slouchy effortless style in the colours of honey, dark pink, damson, black, and light to dark shades of grey. Throughout discovering on www.jackwills.com you can find the characters you can channel you’re dressing into such as ‘The Modern Poet’ girls amongst, discovering the brands top 10 products to have in your closet this autumn term. For the boys Jack Wills has reinvented their denim collection whilst highlighting a varied collection of tees the boys can pick ‘n’ choose from graphics, stripes, printed or plain. For the boys collection the brand has put a focus on outwear with featuring from the Elham Parka to the Darsham jacket within, the statement of allowing optimum style whilst braving the British weather. 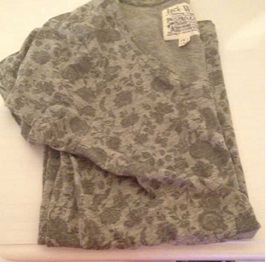 As the same for the womenswear collection Jack Wills also made the sweater (known as the Adlington Crew for the boys) the most wanted garment to have for the autumn term which comes in purple, black, light-dark shades of grey, damson, glade green and white. A character for the boys too have been developed by the brand called ‘Style Rewind’ which you can find on www.jackwills.com under the features tab along with the other features the brand has launched for this autumn term. My recent investment for autumn term. Get suited ‘n’ booted boys! Jack Wills this season is on hand to make sure you boys are the most dapper you can be throughout the autumn term since this is the term is about the academic and social events within your very own calendar. The collection of suits especially the Buckingham suit has been a part of the brand British collaboration with Alfred Brown who has supplied the premium fabric for Jack Wills navy and grey Buckingham suits. 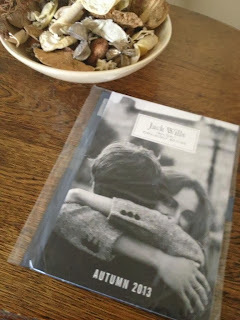 Jack Wills has also collaborated with Moon who has partnered in the making of their timeless grey Herringbone suit too. As you shop online throughout your spare time gents you’ll be able to spot the ever classic and must have outfit staples through the jack wills top 10 products edit. As well as finding out the newly come products and features. Finally have you entered the # JACKIWILL yet? Well get involved and tell your friends what ‘You will do’ for this term. Four fabulous ways to shop from your local store, online to mobile. For customer service enquires contact @JackWills_HELP or see more information here.